Detailing the physical features, habits, territorial reach and other identifying qualities of the Bark Centidpede. Bark Centipedes are noiseless creatures found outside near trees or woodlands, where they canvas tree bark looking for their next meal. Bark Centipedes are agile, fast-moving arthropods (not insects) that tend to startle people with their appearance. Unlike tubular millipedes, centipedes have flattened segments and this helps them squeeze through narrow spaces. Their bodies are reddish brown and legs are yellow. They have only one pair of legs per segment. Their diet of insects makes the outdoors their natural habitat, but they may occasionally be found inside, especially in outbuildings, basements or cellars. They are mostly active at night. 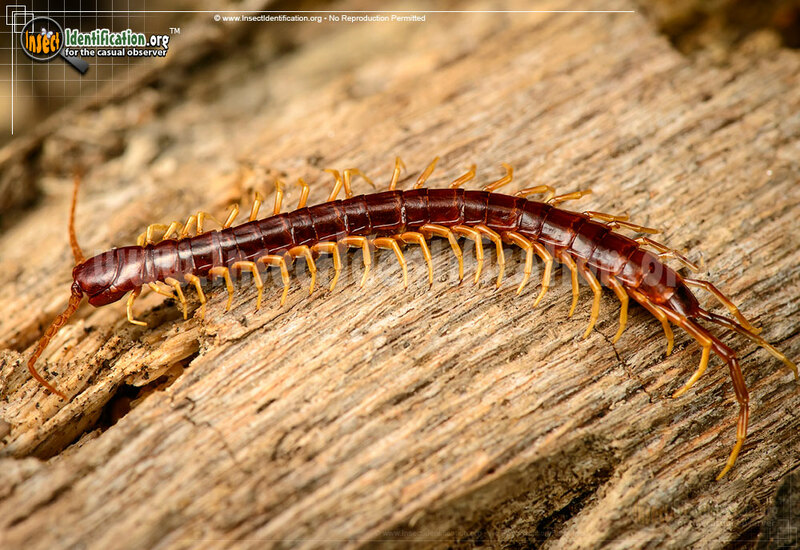 Bark Centipedes have a fang that injects venom into their insect prey. They are capable of biting humans, too, and may do so if disturbed, injured, or threatened. Picking them up is not recommended. Though the bite is not fatal, it can be quite painful and leave a red and irritated patch of skin around the wound. 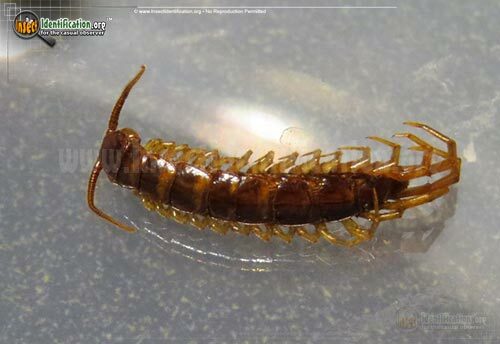 Young centipedes are smaller, paler versions of adults. They will molt multiple times, shedding their exoskeleton as they grow wider and longer. They may live up to about 5 years.